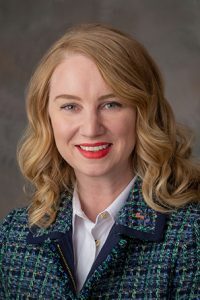 As introduced, LB169, sponsored by Omaha Sen. Megan Hunt, would remove that ban. The bill also would apply the treatment requirement to individuals with three or more possession or use convictions. Hunt said many individuals with felony drug convictions reoffend primarily out of financial need, and expanding SNAP eligibility to them likely would reduce recidivism and allow them to provide for their families. “The intent of this bill is to remove a major barrier to successful reintegration for formerly incarcerated people while also reducing hunger for affected people and their families,” Hunt said. In addition, she said, a lifetime SNAP ban for drug offenders sends the message that they are worse than murderers or rapists who do not face a similar prohibition on eligibility. A pending Health and Human Services Committee amendment would change the bill to provide that a person convicted of a felony involving a controlled substance is eligible for SNAP benefits only if he or she has completed his or her sentence, including any term of parole, probation or post-release supervision. 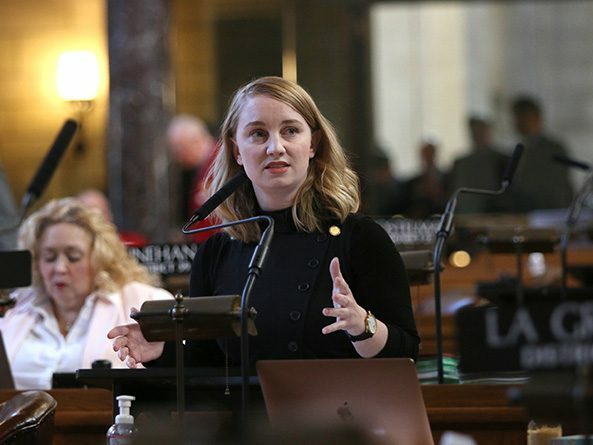 Omaha Sen. Sara Howard, chairperson of the committee, said the amendment would ensure that drug felons are abiding by the terms of their parole or probation, which require drug testing and treatment for those with substance abuse problems, in order for them to be eligible for SNAP benefits. “In a lot of ways, this could be considered more rigorous than what we already have in statute,” Howard said. Sen. Robert Hilkemann of Omaha supported the bill, noting that Nebraska is one of the only states that still has a lifetime food assistance ban for individuals with felony drug convictions. Although he has opposed similar measures in the past, Hilkemann said he now understands the struggle that individuals and families face when someone leaves prison with a felony drug conviction. North Platte Sen. Mike Groene offered an amendment in an effort to extend debate on LB169, which he said would “enable” ex-felons with drug convictions rather than help them. The prospect of losing SNAP eligibility is important leverage in getting drug felons to turn their lives around, he said. Groene also objected to the bill’s extension of benefits to individuals with convictions for distribution. “A mass murderer doesn’t have as many victims as a successful drug dealer does,” he said. Sen. John Lowe of Kearney also opposed the bill, saying individuals who are transitioning from jail sometimes need an incentive to get a job and transform their lives. Omaha Sen. Justin Wayne supported the bill, saying the attempt to draw a clear distinction between those who use drugs and those who distribute them is not as easy as it may seem. The Legislature moved on to the next item on the agenda before voting on LB169 or any of the pending amendments. Per a practice implemented by Speaker Jim Scheer, the sponsor of a bill that is facing a potential filibuster must demonstrate sufficient support for a cloture motion before the measure will be scheduled for additional debate.